Those bedbugs just will not quit. New York, in case you’ve missed it, has a serious problem with bedbugs. They’re just infesting the entire city, and no building, no matter how well fumigated, is safe. They’re in the dressing rooms of Niketown. They’re in the employee lounges in the Empire State Building. Now, those pesky bedbugs have managed to invade the head quarters of the United Nations. 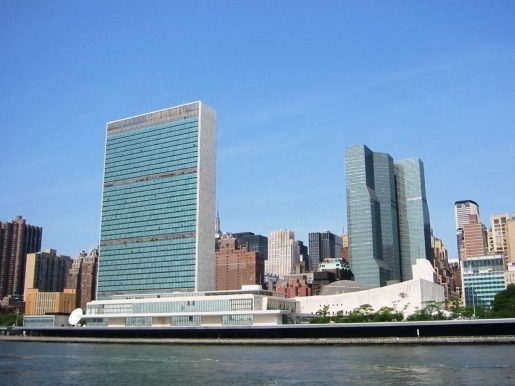 The bedbugs were first discovered in UN Plaza in May 2009. Officials had the building fumigated. That didn’t stop the bedbugs, who either never died in the first place or who returned after the fumigation on the back of some unlucky, itchy employee. The furniture believed to be carrying the bedbugs has been moved to a vacant area of the plaza for further fumigation. The solution to the bedbug problem? Well, you can either break out the good pesticide and DDT the little critters, or you can take a tip from Dave Barry and send them to Washington. Bloodsucking parasites always have a home in DC.